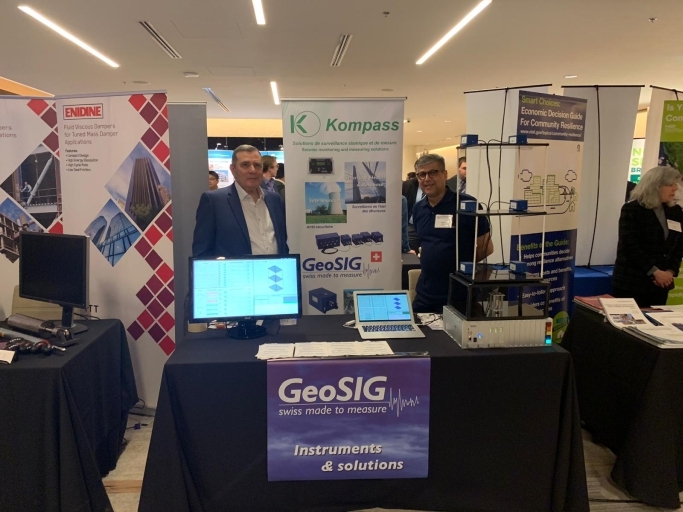 Pictured: Fawaz Kaplo (L), of Kompass Geo-Equipment, and Reza Ghadim (R), of GeoSIG Ltd, at EERI 2019. 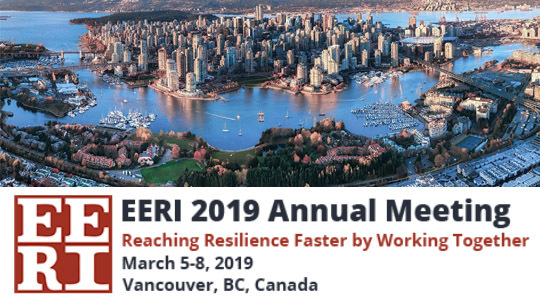 GeoSIG attended the #EERI annual meeting, held March 5-8 in Vancouver, Canada. Dr. Reza Ghadim represented us with a booth in the exhibit hall, talking #earthquake early warning systems, seismic alarms for elevators, structural health monitoring & more. It was a great chance to network with other earthquake professionals.